The best FPV Drone for the least amount of money is the Syma Explorers 2 Wifi Quadcopter at around $60-$70. 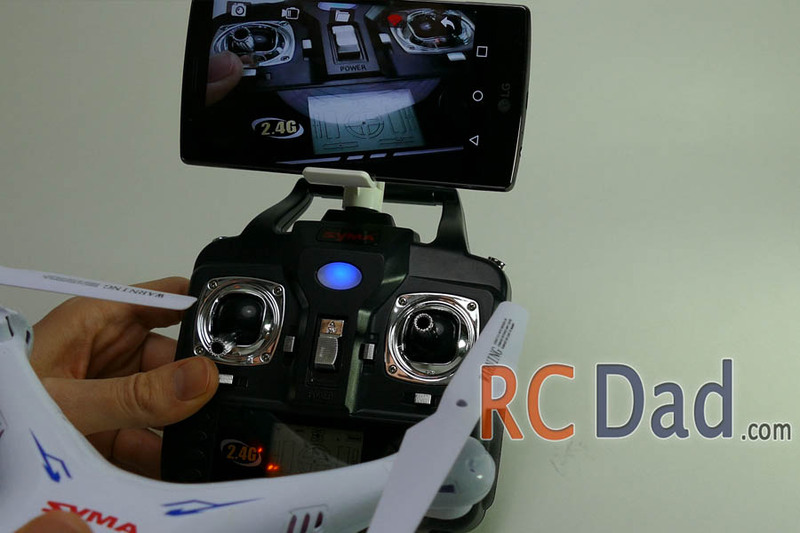 It comes ready to fly, you just need to connect your phones Wifi to the camera, put in 4 AA batteries into the transmitter and you’re all set! 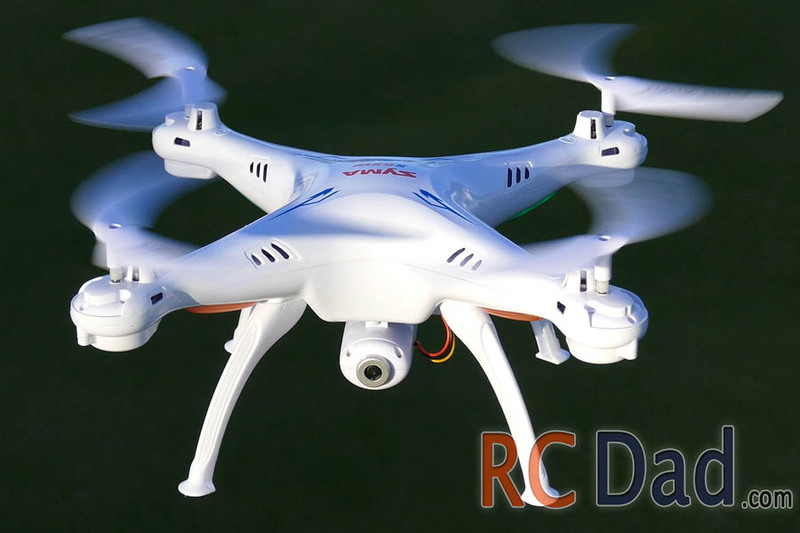 This is one of the most durable and easy to fly toy quadcopters on the market. 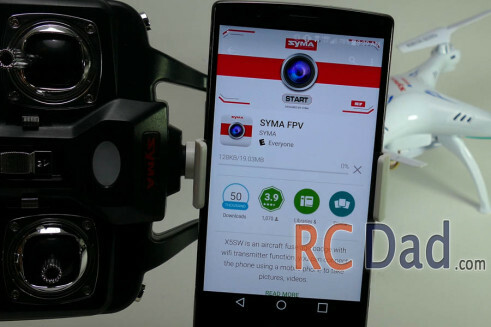 I also reviewed the Explorers X5C which is around $10 bucks less if you don’t care about the FPV function. They are very similar except for the better landing gear and Wifi build into the camera on the X5SW. 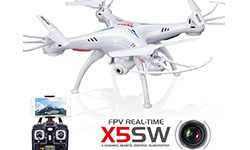 If you do want to check out the cool world of FPV and don’t want to spend 100’s or even 1000’s the X5SW has a camera with a built in Wifi transmitter that will broadcast what the camera is seeing on the quadcopter to your smart phone turning it into a FPV Drone for cheap! I have an android phone and it works but sometimes will need to be restarted a couple times to connect. 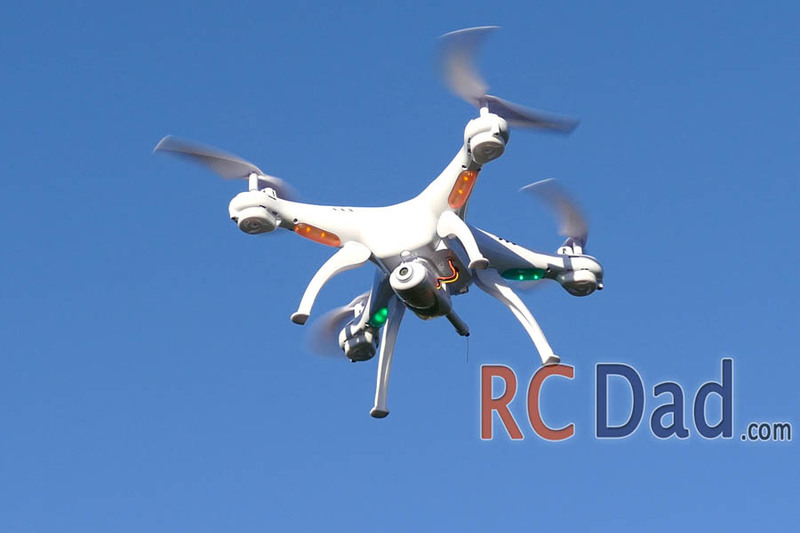 I’ll show you how to connect your phone to the quadcopter in the video. I’ve not tested this on iphone but I’ve read it works. This is one of the least expensive FPV set ups out there so don’t expect an amazing camera with HD streaming video. The camera sends back a pretty low resolution video stream. 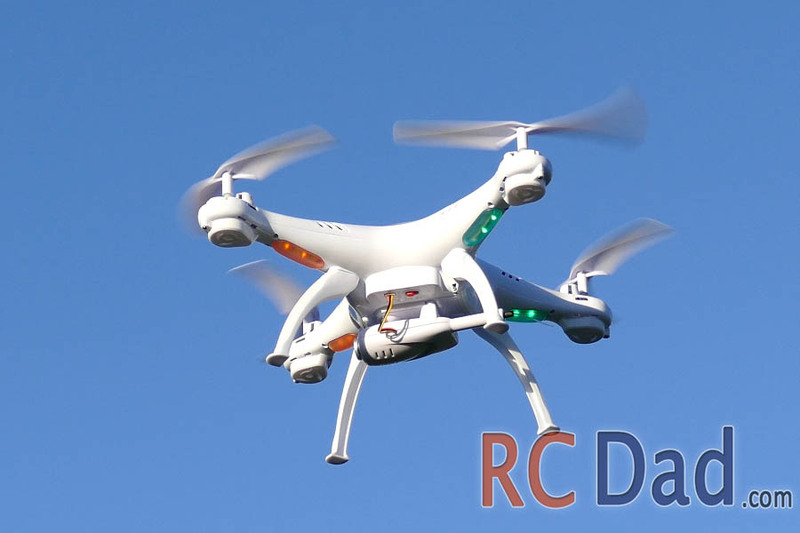 For the most part it stayed connected to the camera just fine, even flying under a bridge through concrete pillars. The field of view is pretty narrow which makes it disorienting if you want to fly using the screen the whole time. Plus the camera isn’t mounted on a gimble so when you go forward at full speed, the camera will be pointed down at the ground and you can’t see what’s in front of you. The WIFI range was surprisingly good, at around 80 feet which was more than the distance of the transmitter signal at around 70 feet. 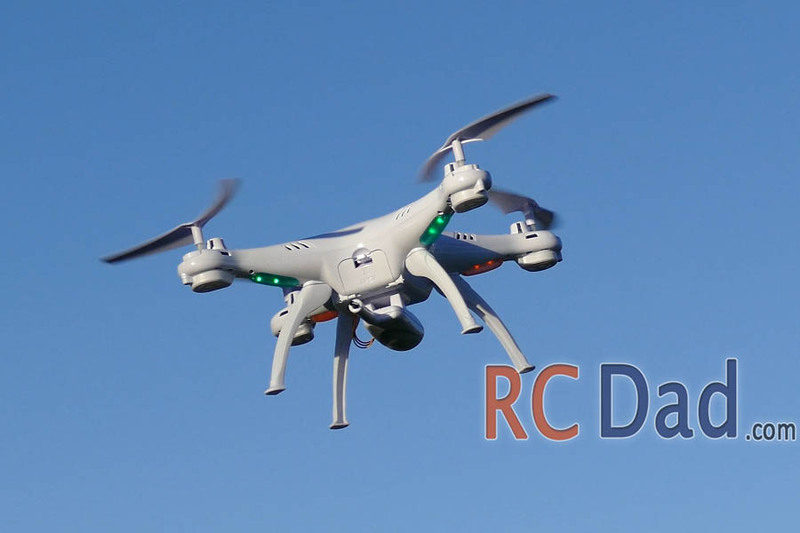 Once you lose signal to the control, it falls out of the sky so keep your rc quadcopter within 60 feet from you. It’s built for beginners and can withstand some rough landings. It does come with blade guards and 4 extra propellers. Flight times are around 5 minutes. 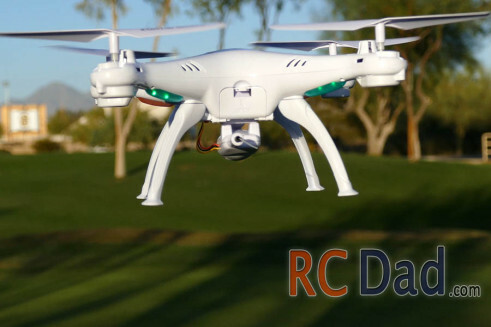 You can take off the camera and blade guards to extend the flight time and increase performance! Regardless of which way the quadcopter is pointing, it will fly in the direction of the control inputs. Is it magic? Well, no. I’m guessing a digital compass of sorts. Here’s a visual in case what I said makes no sense http://rcdad.com/wp-content/uploads/what-is-headless-mode.jpg I personally only use it when I lose track of my quad and want it to fly back toward me. Other than that, it’s not that fun to fly in headless mode.